The United States Olympic Committee has announced its Best of June award winners with Para track and field athlete Breanna Clark, weightlifter Clarence Cummings Jr and the American women’s senior national synchronized swimming team all being named. Clark claimed the national title and shaved more than a second off the women’s T20 400 meter world record at the 2017 US Paralympics Track and Field National Championships. The 23-year-old, who was nearly five seconds ahead of her closest competitor in the mixed event, crossed the finish line in 56.71sec to qualify for her first World Championships. Cummings won his fourth consecutive International Weightlifting Federation World Championship as he defended his junior world crown in the 69 kilograms division. 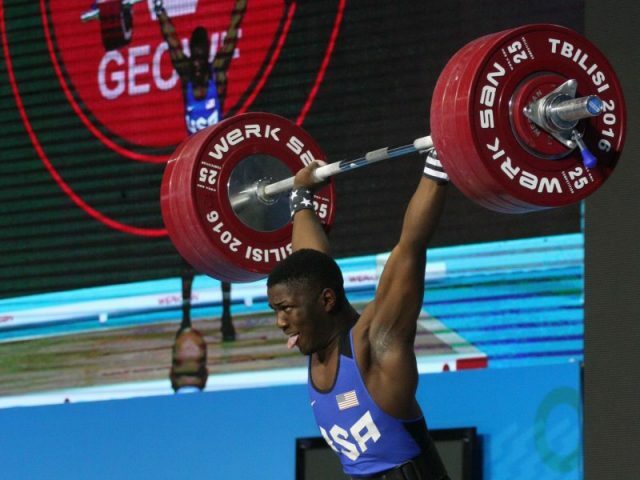 He previously won titles at the 2016 Junior World Championships, 2016 Youth World Championships and 2017 Youth World Championships, and is due to represent the US at the Pan American Championships in July. The US women’s senior national synchronized swimming team won their first-ever world series team gold medal at the American Open in East Meadow in New York City. They scored 166.2664 points in their first competition of the year, narrowly edging Canada in the two-session event. The 11-member squad, led by Rio 2016 Olympian Anita Alvarez, managed to claim the historic win on home soil despite only training together for a couple of months. Clark, Cummings and the US women’s senior national synchronized swimming team are among the qualified athletes and teams that are eligible for Best of the Year honors in 2017. The 2017 Best of the Year Awards are scheduled to be held in Los Angeles on November 29. The Team USA Awards see each National Governing Body (NGB) nominate one female, one male and one team per discipline. Votes received from NGB representatives and select members of the media account for 50 percent of the final tally, with the other half determined by online fan voting. Each of the five monthly men’s and women’s finalists, along with three team finalists, automatically qualify for consideration for the 2017 Team USA Awards.